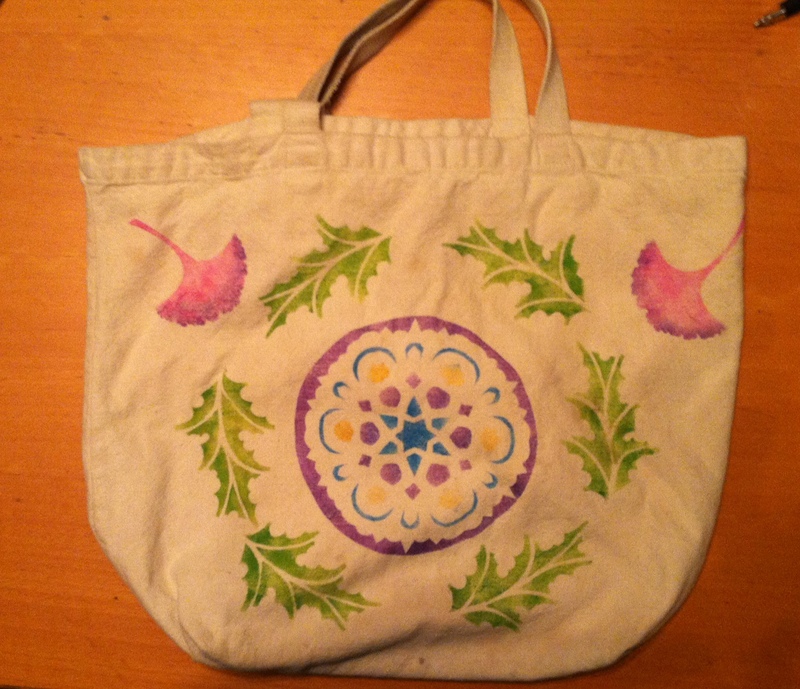 I found an old canvas bag, and stenciled both sides. The hamsa stencil was made from the freezer paper left over from designing a 12 x 12 hamsa. 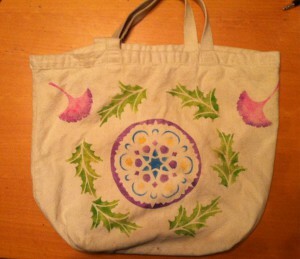 The mandala was a raizelech or snowflake, also cut out of freezer paper. 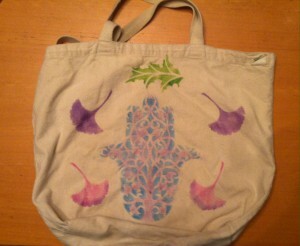 I stenciled each color carefully, one after the other. The leaves are some of April Sproule’s stencils. This entry was posted in Classes, hamsa. Bookmark the permalink.